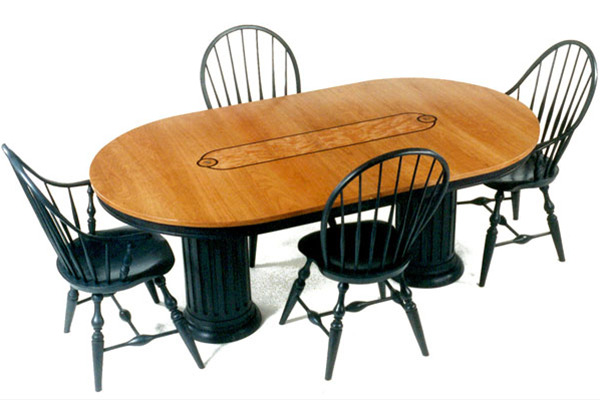 Double pedestal Art Deco inspired custom dining table table with two leaves in natural cherry, with black over blue paint. The central inlay is figured cherry, rosewood, burl and abalone, and the pattern continues as the leaves are inserted. Other woods, colors and inlay choices are available. Minimum size 40” x 80”. Maximum recommended width is 50" Approximate price as shown in 42 x 84 with two 15" leaves. Please email for more pricing info.